Have children draw the words. 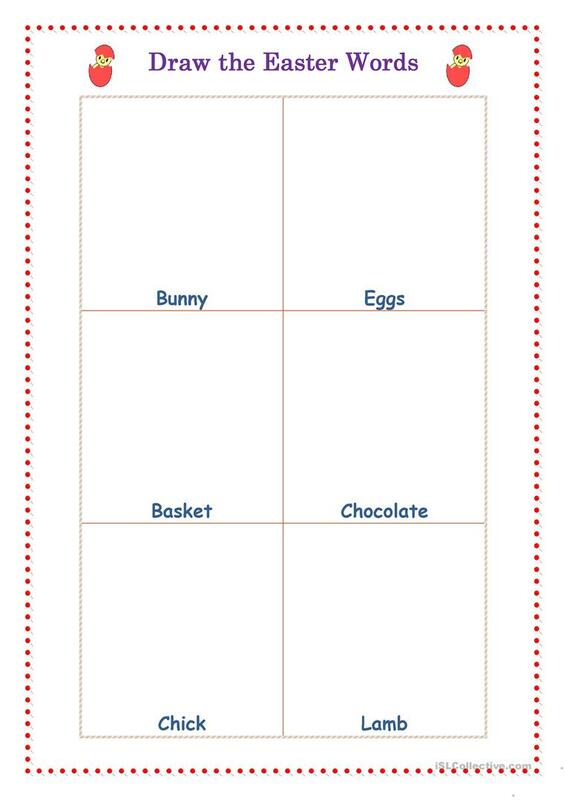 Then, if wanted, have them cut into Easter flashcards to revise vocabulary or use as part of a game. This downloadable teaching material is a great resource for elementary school students and kindergartners and nursery school students at Beginner (pre-A1) and Elementary (A1) level. It was designed for enhancing your class' Speaking and Reading skills. It centers around the vocabulary topic of Easter.